27 August, Dammam – KSA: Intercoil International, UAE’s leading manufacturer, distributor and retailer of total sleep solutions across the MENA region, recently commenced operations at its new manufacturing facility in Dammam, Saudi Arabia. The firm’s entry into the Kingdom with an investment of 20 million SAR, marks a major milestone in the company’s growth outside the UAE. The new state-of-the-art facility which, spans over a gross area of 7,000 sq. 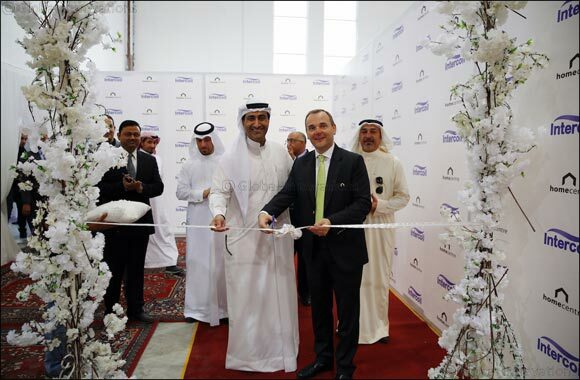 meters and mirrors its UAE facility, will manufacture a comprehensive range of orthopaedic mattresses. The facility will begin production with a daily capacity of 500 mattresses with plans to gradually double mattress capacity over the next three years. This year also marks the occasion of a successful 20-year relationship between Intercoil and Home Centre - a leading home retailer with a network of 100 stores across GCC, Egypt, Lebanon and India. In lieu of this significant milestone, Intercoil’s Dammam factory was inaugurated by Mederic Payne, CEO, Home Centre in the presence of other dignitaries. Located in the Dammam second industrial area, the new manufacturing facility will serve Intercoil’s wide network of showrooms already operating around the Kingdom, in AlEhsaa, Dammam, Jubail and Khobar. The factory, which aims to support the high demand of the hospitality sector as well as Intercoil’s longstanding retail partners, will also cater to neighbouring countries including Bahrain, Kuwait, Jordan, Lebanon and Egypt.